ALICE, GEORGIA, TOBY AND VINODH - ALL HARVEST A BRACE OF JUNIOR UNDER-13 TITLES APIECE, IN STYLISH SURROUNDINGS. 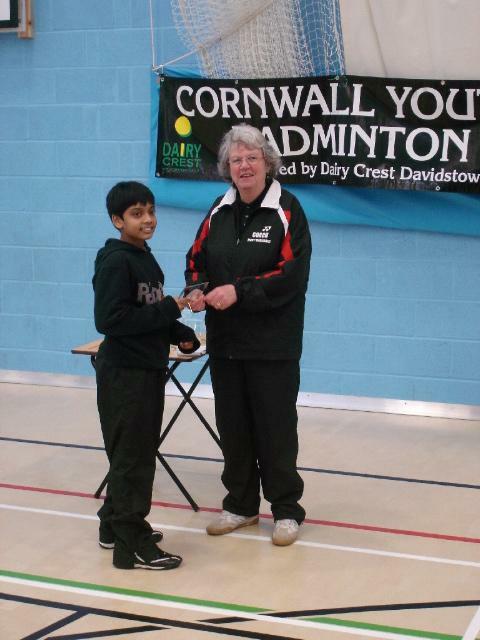 THE Dairy Crest Davidstow Cornwall Junior Under-13 Badminton Championships, 2008/2009, were held on January 18, at the superb new Penryn Sports College, with both the venue and the event itself proving to be most exciting, indeed, writes John Tresidder, with Alison Higgs. Children from the Duchy’s Under-13 County Squad as well as beginners from clubs throughout the County joined together for a fabulous day, with four players registering a brace of wins. 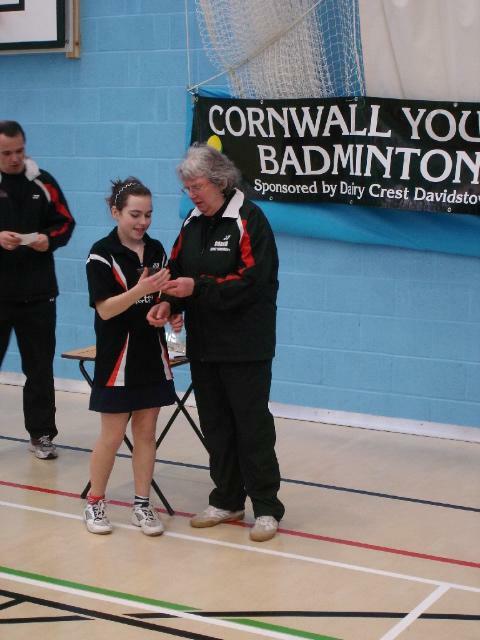 The quality of badminton from the more experienced players, alongside the sheer determination and effort from those less-experienced, ensured an extremely successful event. Firstly, the BOYS’ SINGLES had a very healthy entry of twenty. 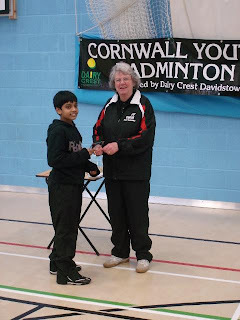 The quality of badminton within the four boxes was high, eventually resulting in Aadith Kumaravel (Truro) taking on Vinodh Arumugam (Truro) in the final. It was anticipated to be a close contest, between these two talented youngsters - and so it proved - with Vinodh finally claiming an impressive 21-11, 21-14 victory. It was so encouraging to see fifteen competitors in the GIRLS’ SINGLES – possibly a record for the Under-13’s age group. 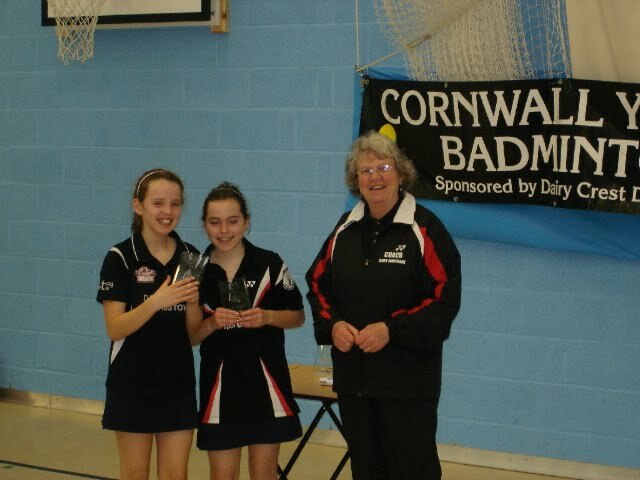 The final was contested by Alice Sporick (Truro) and Georgia Higgs (Leedstown). Alice played a tight and strong first game, taking it 21-12. 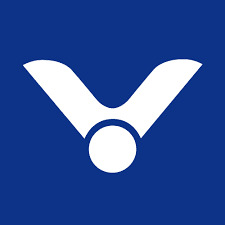 Georgia fought back, resiliently, in the second set, but Alice was seen to come through with 21-17 game, to claim the prestigious blue-ribband title. 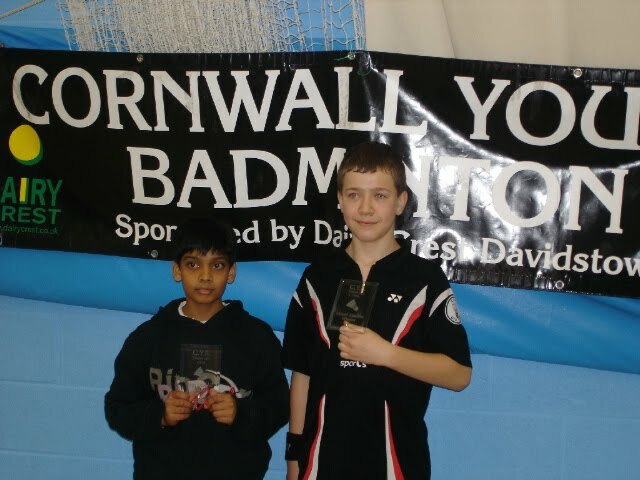 The BOYS’ DOUBLES provided a fantastic final – a close three-ender, between Ben Johnson (Liskeard) and Aadith Kumaravel (Truro) and the Toby Bamforth (Saltash) and Vinodh Arumugam (Truro) partnership. However, Toby and Vinodh came back extremely well to take the next two ends, 21-13, 21-13, to secure their eventual victory. Meanwhile, in the GIRLS’ DOUBLES, with just one box of seven entries, it was the pair with the most points who would succeed. There were some excellent games played with a lot of fun and laughter, alongside a steely determination to win. 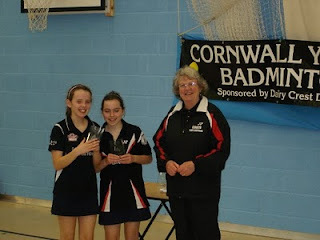 Particular mention should go to Ruth Barnicoat (Falmouth) and Emily Toy (Falmouth) who were runners-up in the box and who competed well - throughout the day. Eventually, the title went to Alice Sporick and Georgia Higgs, whose consistency made them the stronger Outfit. 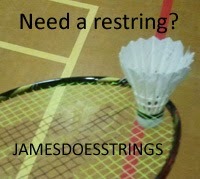 By the time of the final event of the day, the MIXED DOUBLES, the quality of badminton kept getting better and better. It was a pleasure for the organisers and the supporters to watch these talented Under 13’s and credit goes to all four players who were in the final – the combinations of Georgia Higgs/Toby Bamforth and Alice Sporick/Ben Johnson. It proved to be an extremely closely-fought affair, with each point being fiercely contested, with neither pair ever pulling very far ahead. 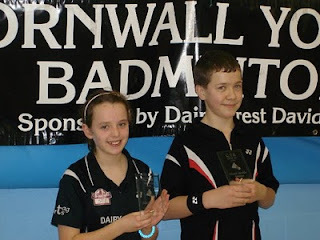 Georgia and Toby, in the final analysis, secured a close first end, 22-20 and proceeded to go on to claim an even closer second end, 27-25, to register the title, with both players recording a brace of victories. Congratulations to everyone who took part in this, the final event of the Junior Championships, for this season. 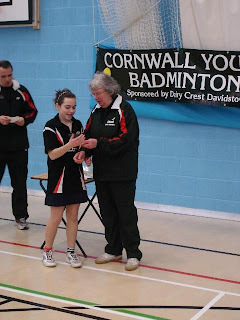 Special thanks are afforded to Jenny Marchant, the County Badminton Chairman, who was the Referee for the Day and to Ros Bastian, Penryn College’s Director of Sport for the warm welcome, over two enthralling weekends. Finally, thanks also to Paul Johnson and Alison Higgs, the County Under-13 Co-Managers, Chris and Kate Bamforth, Kath Bick and all the parents who stayed to support - helping to set up and pack away the equipment.